Bee Nest was honored to have RSVP nominated for 3 different awards at the Massachusetts Independent Film Festival; Best Screenplay, Best Director, and Best Short Film. Needless to say, Ryan and I were going to be sure to ‘beeline’ or Bee Nest butts up there to Cambridge! But before heading to the festival, we hatched up a plan with our producing partners Lance Marshall and James Oxford at Watergun Outlaw Productions, to challenge ourselves with a 48 hour filmmaking frenzy. To be honest it wasn’t frenzied at all- I wrote that just for the sake of alliteration. But it was a challenge, albeit, a totally fun one! 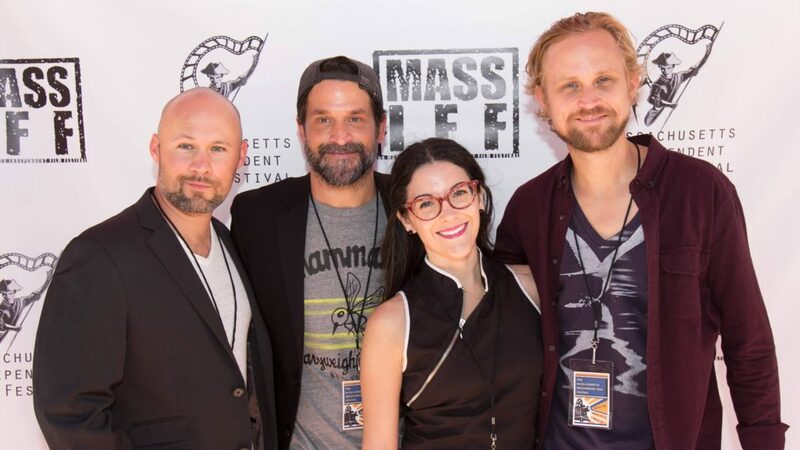 After we wrapped on our 48 hours of filmmaking, the four of us made our way to Cambridge to screen RSVP with the wonderful people who organize the Massachusetts Independent Film Festival. We met some amazing people at the opening night party, in particular, the vivacious ladies who run a non-profit named Bianca’s Kids. Debbie, Gabriella, Vanessa, and Maria were there to screen a documentary about how Bianca’s Kids came to be, and it a worthy story to be sure. We all joined them for the screening of their film, which celebrated the good that can be cultivated from devastating loss. It was a blessing to meet them, and laugh and cry together. 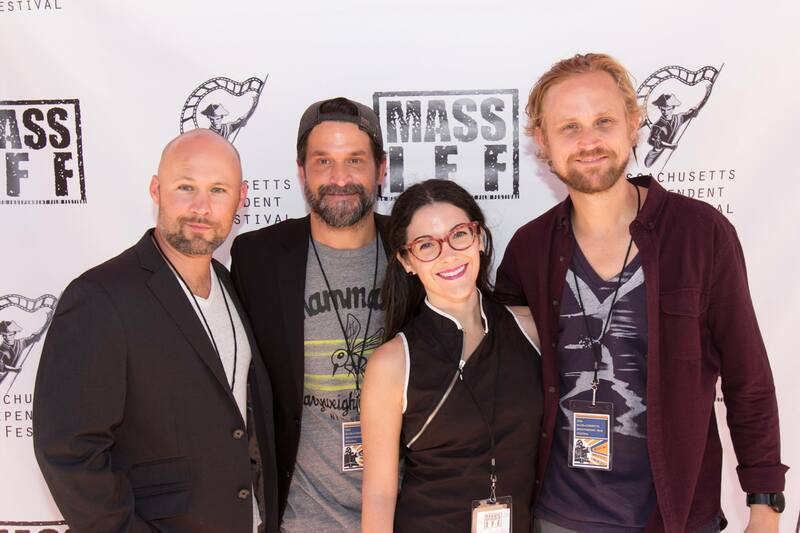 Our film, RSVP, was screened before a wonderful feature film that was made in Maine, titled NEPTUNE. We felt really honored for them to have programmed us with such a beautiful film. And the audience responded really well to RSVP. Tears and heart felt comments and questions during the talk back after certainly do quite a bit to boost a filmmakers spirits. They were a lovely crowd and we were so happy to be able to share our film with them. Next up was the award ceremony, AND! ….we did not win. Hahaha. But as they say, it is always the biggest honor simply to be nominated 🙂 Being recognized in so many categories really did put a nice wind in our sails regardless. The biggest prize was getting to spend quality time with Lance and James, meet lovely people, and dig into some DIY creativity. After all, we all got into this business because we loved playing make-believe as kids! It’s nice to know that we don’t ever need to give that up as adults; it’s what we do best!